Leviton Decora Plus™ Commercial/specification grade AC rocker quiet switch in light almond color, has impact-resistant thermoplastic construction for durability. 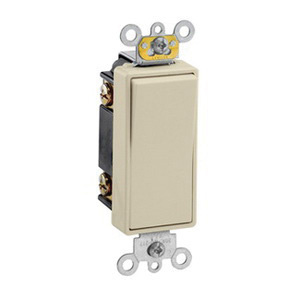 This 2-Pole switch has a voltage rating of 120/277-Volts AC and current rating of 20-Amps. 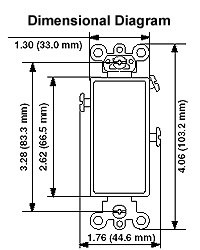 The rocker actuated switch has a maximum load capacity of 1 hp at 120-Volts AC and 2 hp at 277-Volts AC. The rocker switch meets UL 20, CSA C22.2 and NOM 057 standards.